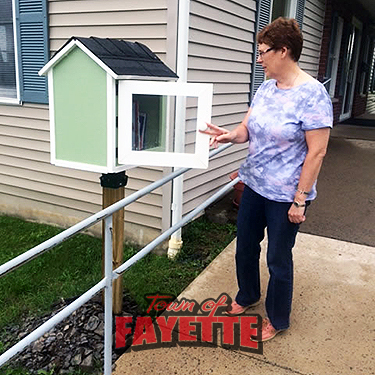 The Free Library is for all residents in our community to enjoy, located at the Fayette Town Office building on 1439 Yellow Tavern Road. The concept behind the library is for all to have access to books. There are books for all age levels. The library is a give and take concept. If you want a book to read stop buy and pick one up. If you have a book you no longer want but think others may enjoy place it in the Free Library. If you really enjoy the book you are welcome to keep it or return it when you are done. We hope that all will enjoy and use the library.